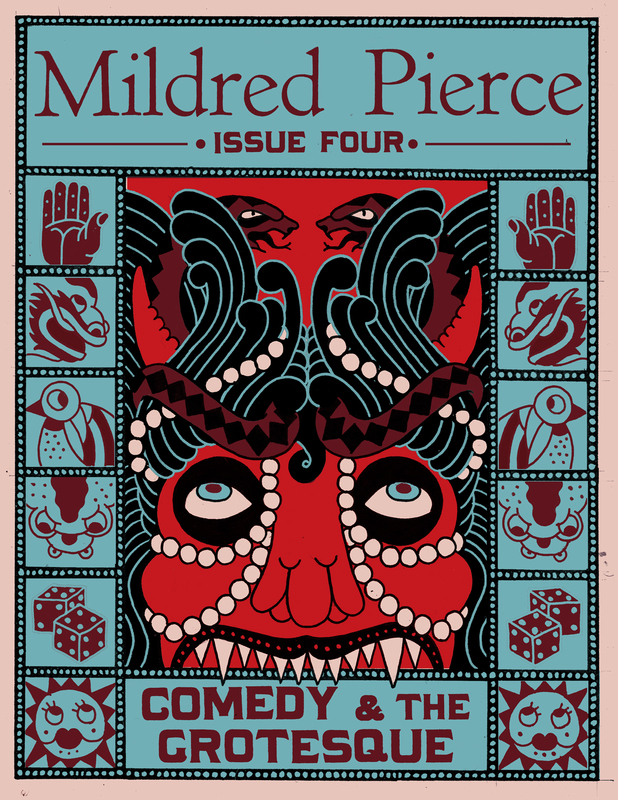 Mildred Pierce #4: Comedy and the Grotesque is officially alive!! HUGE thanks to all who have helped make this issue possible. This issue features cover art by Edie Fake, inside cover art by Eamon Espey; its guts include…. Those of you who pre-ordered, we’re in the process of getting your copies out. The rest of ya, for now, while we’re working on distribution, can purchase an issue through PayPal: send $9 ($8 + $1 shipping) to mildredpiercezine@gmail.com including your mailing address in the note. See you at Quimby’s on Saturday, February 26th!